The professionals at Colonial Overhead Doors will provide you with quality garage doors that will survive through the cold winters. You can be assured that you and your family will not be affected by the cold with our products. Did you discover that one of the springs on your garage door is broken? Here at Colonial Overhead Doors, you can be sure that we can come out and inspect it, as well as taking the steps to fix or replace any broken, misaligned, or damaged parts. 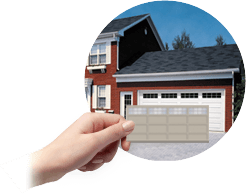 After many years in the industry, the technicians here have learned the knowledge and skills necessary to install and repair any brand of garage door. Regardless of what the market is: agricultural, commercial, industrial, or residential, you can be sure that the technicians at Colonial Overhead Doors are best suited to meet your needs. 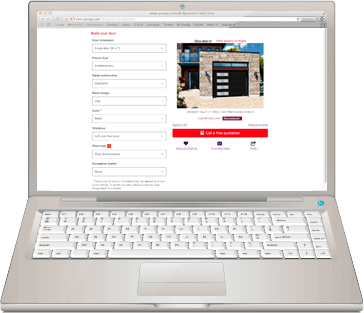 Design your perfect garage door today! In Troy, NY, Colonial Overhead Doors understands that your garage door plays an important role in the curb appeal of your home. Therefore, we want to be sure that you are offered all the options available as well as the styles that you can choose from. Our Design Centre will allow you to choose from the various styles and colors, and will even allow you to add windows to your garage door. Colonial Overhead Doors allows you to see how our doors will look on your home, whether you have a brick, stone, vinyl, or wood exterior. You can take your dreams of a beautiful garage door and make them into a reality today! Chances are, you’re tired of salesmen simply trying to get you to buy their most expensive options. However, here at Colonial Overhead Doors, you should know that we do have the best intentions. Our professionals want to ensure that all of the possible options are thoroughly explained to you. We will be happy to sit down with you and take the time to listen to your personal needs and taste. You can be sure that we will respect you and your budget. Allow us to assist you in making the right choice. You can be sure we will never pressure or rush you. Colonial Overhead Doors promises to give you the best possible products on the market. Our products are durable, efficient, and safe, such as LiftMaster garage door openers. With advancements in technology, you are now able to control your garage door using your smartphone, computer, or tablet. This offers you peace of mind because no matter where you are in the world, you can make sure that your garage door is closed. Since you use your garage door so often, chances are you are going to need a professional to help you maintain it. In order to guarantee the work is done properly and your door will continue to work properly, you will need to make sure that you hire professional installers and repairmen. Colonial Overhead Doors has a devoted team of professional repairmen and technicians. These repairmen and technicians are valuable not only for the quality of their work but because of their work ethics and values. All of our employees are hardworking and friendly professionals and want to ensure that you have the best possible experience when it comes to purchasing your garage door.